Beef and Broccoli stir fry makes the perfect dish when that takeout craving hits! Best of all, this skinny recipe for beef and broccoli is SO easy to make. 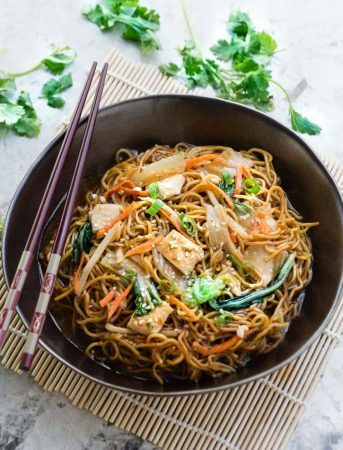 It’s flavorful and much healthier and way better than any Asian carry-out. Great for Sunday meal prep for school or work lunchboxes or lunch bowls! Plus recipe video. 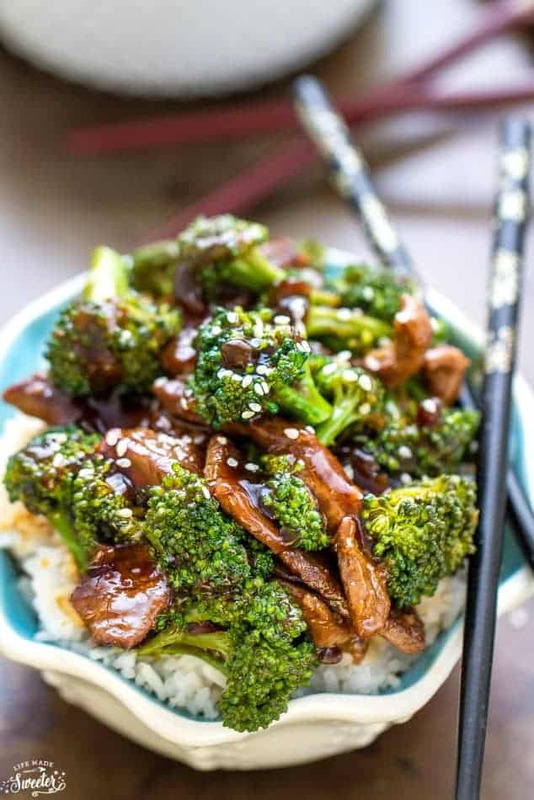 Beef and Broccoli is a popular Chinese takeout dish that shows up at our house regularly. We love an easy stir-fry dish for busy weeknights. 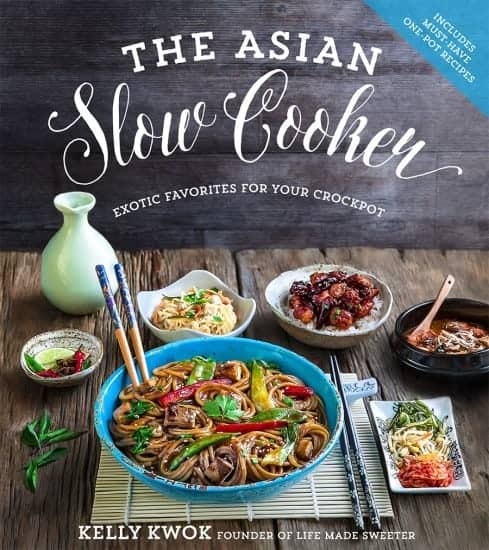 And for those days we need a totally stove-free option, this slow cooker beef and broccoli and Instant Pot Beef and Broccoli are great options that let us skip that restaurant pick-up window. This dish holds a very special place in my heart. 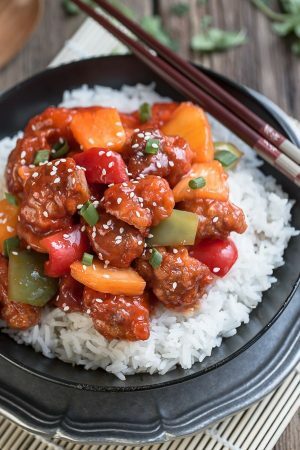 Along with fried rice, lo mein and this sweet and sour chicken, beef and broccoli was one of the very first “real” dishes my parents taught all three of us kids how to make. This healthier Beef and Broccoli recipe is just as tasty as any takeout version. It’s totally skinny-jean friendly since we are using less oil, lower sodium soy sauce and a leaner cut of beef. 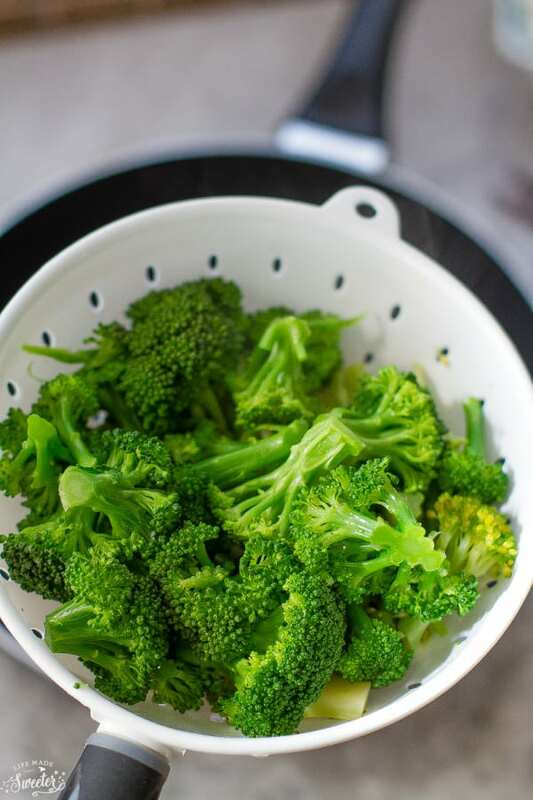 To ensure that the broccoli stays nice and crisp and the beef tender and juicy, you should blanch the broccoli in boiling water for about 30 seconds prior to sauteing it in the pan – then quickly rinse under cold water to stop the cooking process. It’s worth the extra step, but feel free to skip it if you are in a pinch. Preheat the pan – The key to getting that nice restaurant sizzle is to get the pan really, really hot before adding the beef. 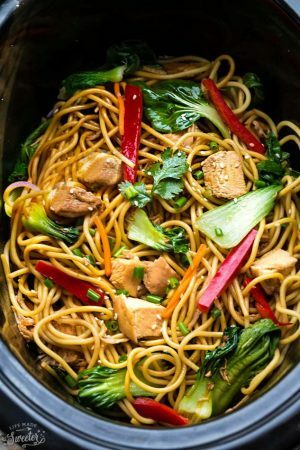 Using an electric wok will produce the best results. Hot oil – Let the pan sit on high heat with the cooking oil for about 2 minutes, or until you see enough steam rising, before adding the beef and garlic. 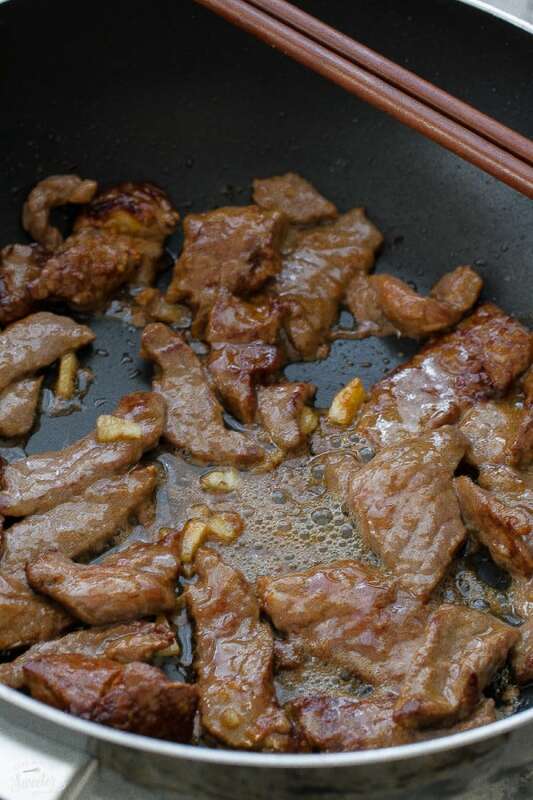 Thinly sliced beef – Cutting the beef nice and thin and coating it with cornstarch seals in that rich flavor. It also adds a nice and juicy coating to the marinated beef strips. And you won’t have to worry about tough and chewy pieces. Make sure your knife is sharp. I like to use . Quickly add the beef to the smoking pan and spread the pieces out to a single layer allowing them to sear and brown. Add the garlic and continue cooking until the meat is no longer pink (about 1-2 minutes making sure not to overcook). Pour in the sauce, stirring constantly, until the sauce boils and thickens - about 30 seconds. Add more water if needed to thin out the sauce. Quickly stir in the broccoli and toss everything together to coat well. Salt and pepper to taste. For meal prep: Divide evenly into lunch containers with your favorite carb - rice, quinoa or noodles. I love the look of this skinny beef and broccoli, it looks so fresh but still so decadent! This dish is absolutely gorgeous, Kelly! I was never really a picky eater, but my husband sort of is, so I always have to get creative with dishes that involve broccoli. But I definitely think he would devour this! Love that it’s ready in just 30 minutes, too! Oh my goooooosh, Kelly! This beef and broccoli is seriously making me DROOL right now! I can hardly stand how juicy and perfect that beef looks! I am so adding this one to the dinner menu for next week! Kelly, I love this!!! My older brother would cook for us too when we were kids! Beef and broccoli is a family fave!!!! will definitely try your recipe! Oh my, I need this beef and broccoli meal in my life! This looks so good! This looks amazing Kelly! I just love beef and broccoli and this lighter version is perfect for weeknights! I definitely skip my takeout and make this beef and broccoli. And that sauce looks so good. Yum! I would totally come running for this Beef & Broccoli too, Kelly! This is way better than any take out! Kelly, this looks WAAAY better than any broccoli beef I’ve ever ordered out — I’m seriously craving this right now! 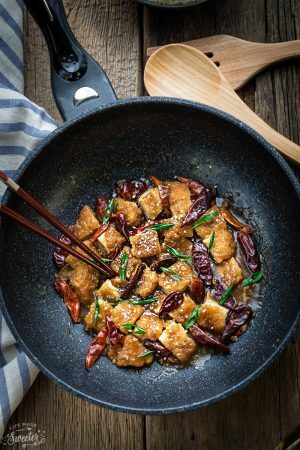 Beautiful dish and photos, and I can’t wait to try! Lightened-up takeout favorites are possibly my favorite thing about online recipes- no more excuse to phone in for food! YUM! This looks amazing! …and I love that it’s a 30 minute meal! …also, I adore broccoli in stir fries! It’s so yummy because it soaks up all the sauce!! LOVE it! Thanks for sharing! Glorious!!! Beef and broccoli is still one of my all time favorite stir fry meals. And to have it done light and under 30 minutes??? Score!!! Gorgeous photos too. YUM! Kelly, this looks heavenly! Waaay better than take out. Love that its a little better for you too! I’m going to bookmark to try! I love homemade takeout food, it’s always so good. 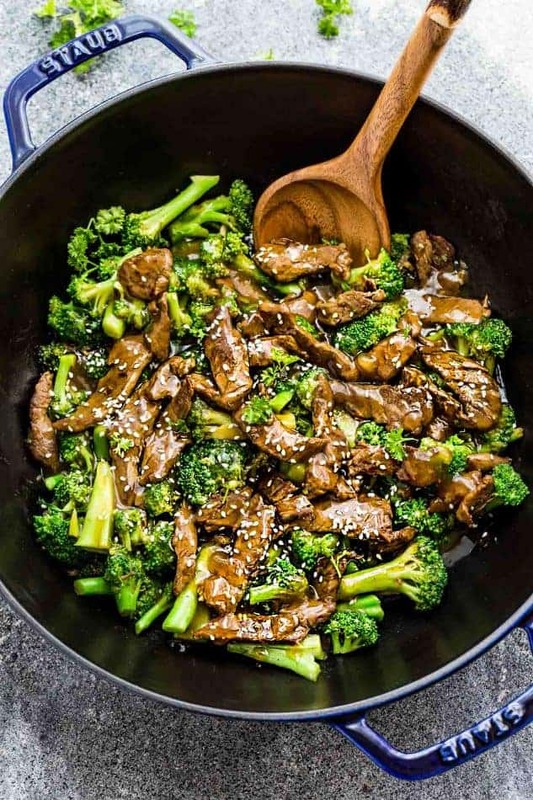 This beef and broccoli looks fantastic – I can’t wait to try your version! This looks delicious!! I love the beef and broccoli combo! Yum! 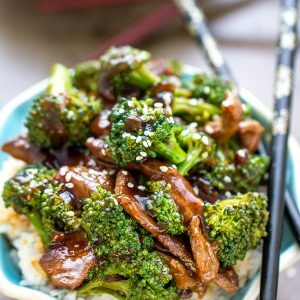 Beef and broccoli is one of my favorites, and I’d take this meal over takeout any day! The fact that I can make this in just 30 minutes is amazing! Yes!!! Kelly this dish looks incredible. Lightened up and speedy – perfect! I’m skipping takeout this weekend and making beef and broccoli instead. This looks so good, Kelly! I made this for four servings using 12 ounces of sirloin steak and upping the broccoli to 4 cups – each serving (without rice) comes in at 256 – nice! Thank you! 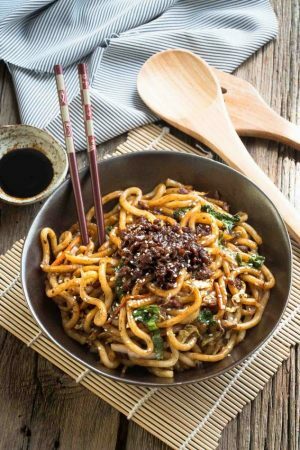 I’ve been thinking to get Chinese takeout today, but after seeing this awesome and easy to make dish, I might just make it! Love beef and broccoli! Great recipe Kelly! Is it bad that I want this for breakfast?! It looks so good – that sauce is all dreamy and it all looks so flavorful. WAY better than takeout 🙂 and skinny?! I’m all in. When I crave chinese food this is exactly the thing I would want! I love it!! Ahhh, this looks so so good. 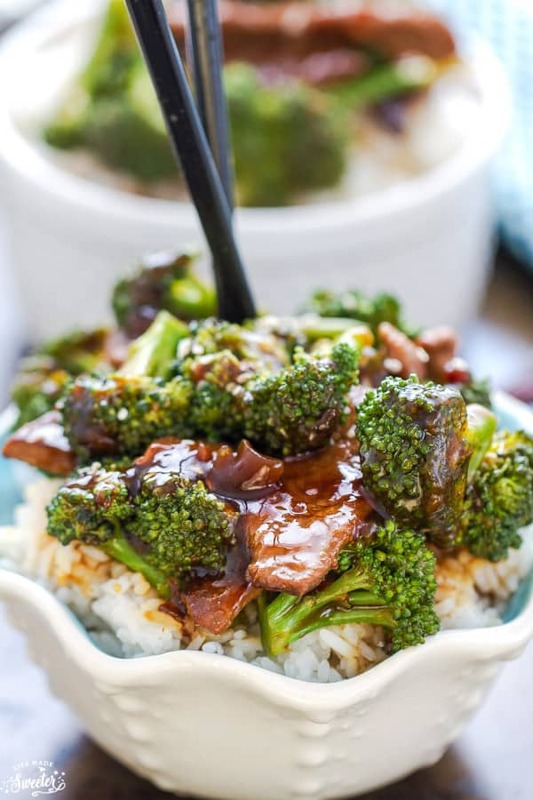 I love beef and broccoli, I love quick and flavorful meals – this is perfect! Pinning! I love beef and broccoli! This looks amazing – your photos are gorgeous and I love that you made it skinny! Can’t wait to try it! BAh! Immediately craving this. Love the photos Kelly and I love reading about the dishes you ate as a kid! Beef and broccoli always makes it onto the takeout order, but homemade always tastes so much better. These photos just gave me hunger pangs! This looks great! That amazing gloss that the sauce has looks delicious! I hope you had a great Christmas and New Year, Kelly. 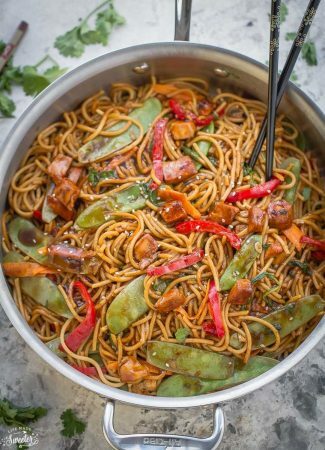 Your photos are just beautiful and the stir fry looks incredible! I need add flank and broccoli to my shopping list this weekend because I’m so craving this! Kelly this looks so good!! Made this for lunch today and it was amazing!! My husband loved it! Thanks for sharing this delicious recipe, Kelly!